Why I think Apple is falling but yet making profit. By now most of you have seen the event either live in person or in video. (If not here is the official link) Apple launched two iPhone the iPhone5C and the iPhone5S and iOS7 the next generation operating system for Apple’s iPhone. 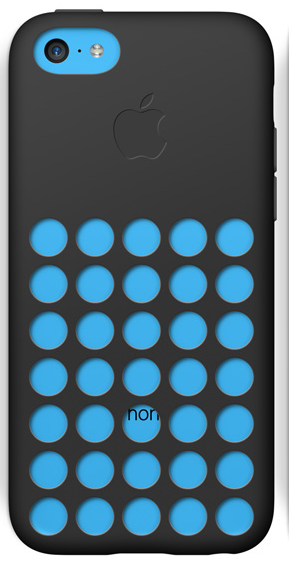 Everyone got glimpse of both iPhone5C and iPhone5S on the internet, before it was announced. From a company that had a good level of keeping a new product secret, this was not expected,even we saw a year before that iPhone5 photo was leaked before it was launched. Well that won’t hurt the product but it does kills the element of surprise when we see the product for first time during the event. 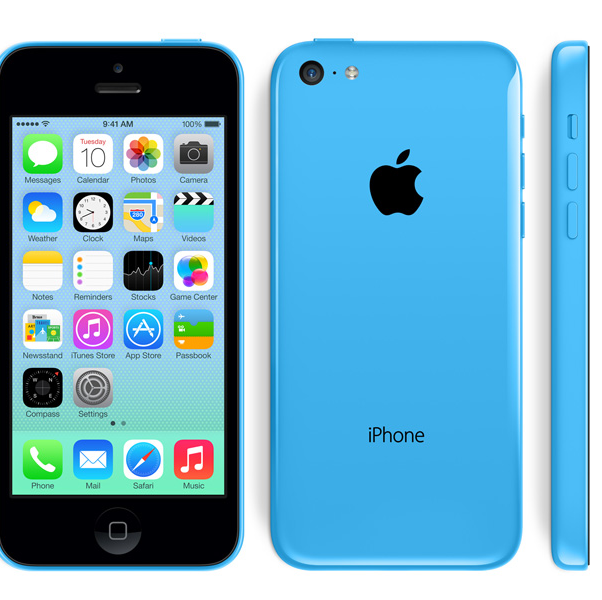 The iPhone5C which is a plastic iPhone, Apple will say its high quality polycarbonate, but it no way looks high quality. when I first saw the leaked images I thought it was fake some cheap fake iPhones. But during the even I just could not believe my eyes that these plastic iPhones were actually from Apple.It looks like one of those fake iPhone you get from unknown company on which they misspell the word “iPhone” but this time its from the company called Apple and they did not misspell the word.As a company which is known for its elegant design in all its product the iPhone5C seems out of place. I wonder if Steve Jobs was the one who really designed the products and Jony Ive only who took the orders and put the design on paper. 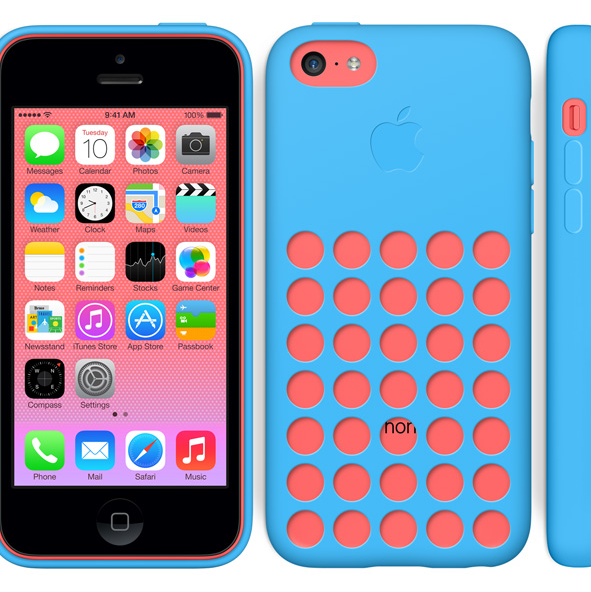 Have you looked at the iPhone5C with the cover from back side? here have a look at this picture. Now tell me which company will make a product that will make their own products name partially visible? “iPhone” became “hon” really a company which is known for its attention to details this was not expected. I am very much sure if Steve Jobs was alive he would have put a bullet in the person’s head who designed iPhone5C and its cover. And even if Apple made a plastic looking iPhone , when I saw it before the release i thought the price point will really be cheap. That will make it popular in developing countries where phones are NOT sold on contact, and people has to may more for a phone then in the developed countries. Say if the price of iPhone5C was $99 without contact worldwide then I am sure it will sell like hot cakes, because then its price will come at par with the cheap Android phones that people of developing countries buys who are looking for a smartphone. And if they got a option t select from Apple iOS7 on iPhone5C to laggy low spec Android devices with very low internal memory, they will definitely pick the iPhone5C over other devices. Some may argue that Apple will make a loss if they give away iPhone5C for $99 without contact, but no they will not, why? I will come back to that in a moment in my post. The iPhone5S, it has got a 64bit processor the first phone it the world to get a 64bit processor and a native OS and apps built to support 64bit processor which is truly remarkable. We can expect more better performance of games and apps. Also the implement ion of OpenGL 3 is a great plus. But being said that it would make sense to have a bit larger screen on the iPhone5S as its packing more punch on precessing and graphics, it would be nice not to have all those graphics goodness cramped in a small screen, it would have been better to increase the size of the screen a bit which would have added to the enjoyment of experience of the new graphics boost on iPhone. The new iPhone5S in three different colors. Apple also made improvements on the camera by increasing the sensor size, the way that HTC One did with a 4MP camera, Apple did similar to the 8MP camera, and I believe that will definitely be a good for the photos. Its not just the megapixel and sensor its also the Apples software that process the photos, which I personally the quality of photo it produces, personally i even liked the photos produced by iPhone back in the day when it packed a less MP camera over then mobile phones which had a higher MP. Apple also had a new flash to go along with the improved camera sensor, this new led will emit a light which is more natural to the environment and surrounding of the picture taken. All theses seems good on paper but I can’t say how much of a improvement it is over the iPhone5 until the iPhone5S is launched and we can see the photos taken with both phones to compare. Why Apple will still make money and earn profit even if the products are not appealing? Well I always liked every products that have been made by Apple so far. But iPhone5C is the first product that Apple made that I don’t want to buy. Trust me I am what you will say “a true Apple Fanboy” yet I don’t like the iPhone5C. It just does not look and feel Apple. I can’t tell it for sure how many people will pick iPhone5C over iPhone5, I guess that is the reason why Tim Cook made the iPhone5 unavailable upon the release of iPhone5C.Nor can I say how many people will not buy iPhone5S for security concerns over the fingerprint scanner after the NSA incident. But what I can say for sure is that Apple will still make a hug he profit. You wonder,Why? Take an example of any average iPhone user, if you had iPhone for a year or more I am sure by now you have spent a lot of money on apps and digital media that you purchased from iTunes that you can’t move to another device of different platform, so say if a person has spent $300 on digital content on iTunes with his iPhone, and then its time for that person to get an upgrade of phone as his contract is to end, what will that person select? iPhone or other phone of different platform? The fact that its the digital content and apps that makes a smartphone truly smart and now the mobile phone is a vital part of entertainment when most of our lives are getting busier and we are on the go, makes us stick to the platform which we have used for a long time.